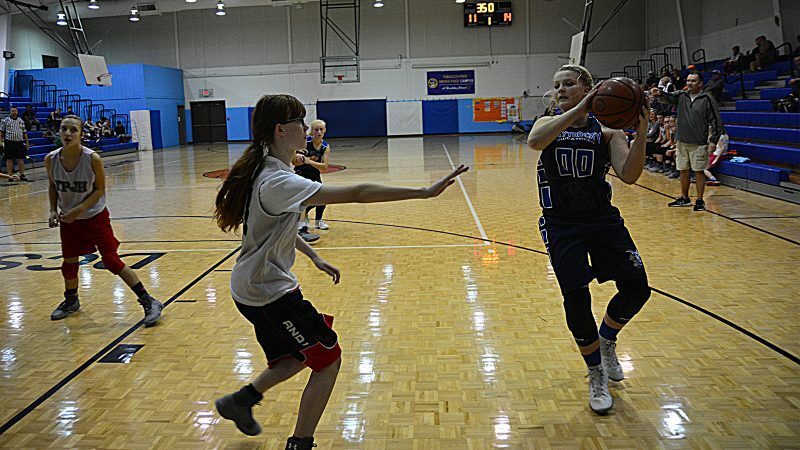 Pikeville, TN — The Dayton City School basketball teams split with Bledsoe Middle School on Thursday on the road. Girls team won 31-9 and boys lost 59-33. Offense was led by Ava Travis and Emma Gentry. Shelby Davis and Chloe Akin stood out on defense. DCS boys struggled through out the whole game. Starting wing Michael Hill suffered an ankle injury and had to be helped off the court. Girls JV DCS 15 Bledsoe 13. Baylin Kinney had 5 points to lead the Lady Bees and Kendall Garmany added 4 points. Boys JV DCS 50 Bledsoe 13. Bryce Dupree had 12 point to lead the junior varsity and Dawson Mickel totaled 8 points. In season opener; Sweat bees and Lady Bees were both winners over Soddy Middle. For Lady Bees, Emma Gentry led the way with 11 points and Shelby Davis added 8 points. Ava Travis had 7 points, Ashley Brannon 4 points, Bailyn Kinney 3 points and Chloe Akins 2 points in the win. Dayton City Boys were led by Bryce Dupree with 14 points against Soddy with Tyler Dupree, Alijah Davis and Lane Brooks each tallying 10 points. Rex Pendergrass added 2 points.